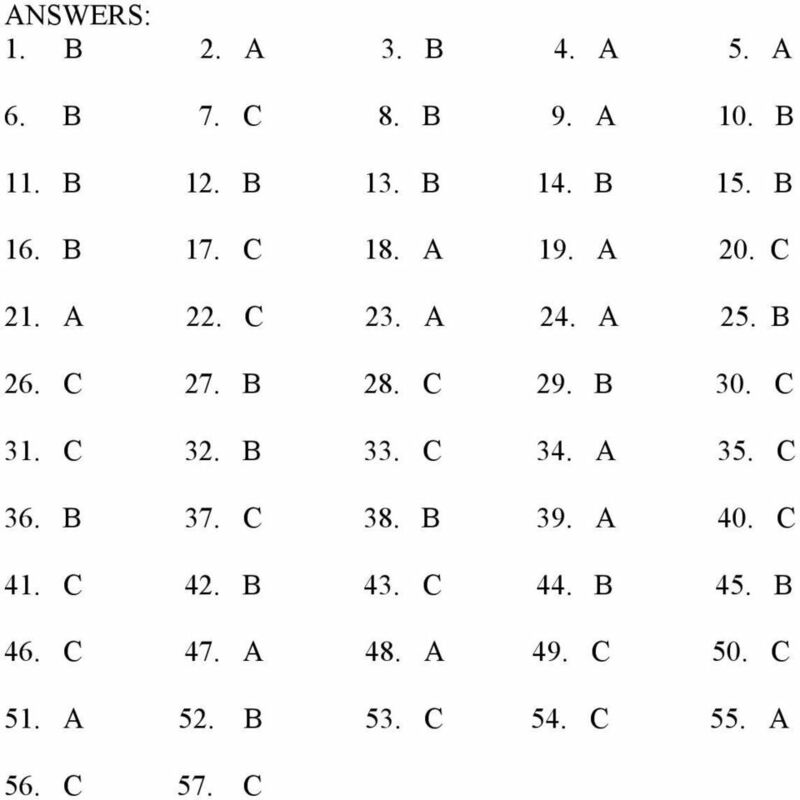 Download "GENERAL KNOWLEDGE PRACTICE TEST"
1. When the roads are slippery, you should make turns as gentle as possible. Slide Show Notes Whether you drive on the job or just commute to work by car, you re in danger on the road unless you drive defensively. To remind workers that distracted or unsafe driving can result in a serious injury. To consider ways to drive safely to avoid accidents and injuries. GENIUS DMV. cheat sheets QUESTION 1 QUESTION 2 QUESTION 3 QUESTION 4. 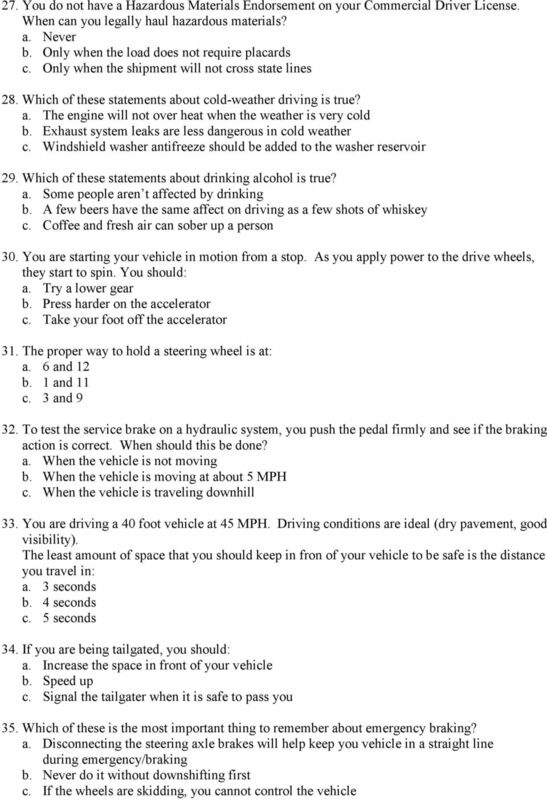 2 Driving-Tests.org. All Rights Reserved. 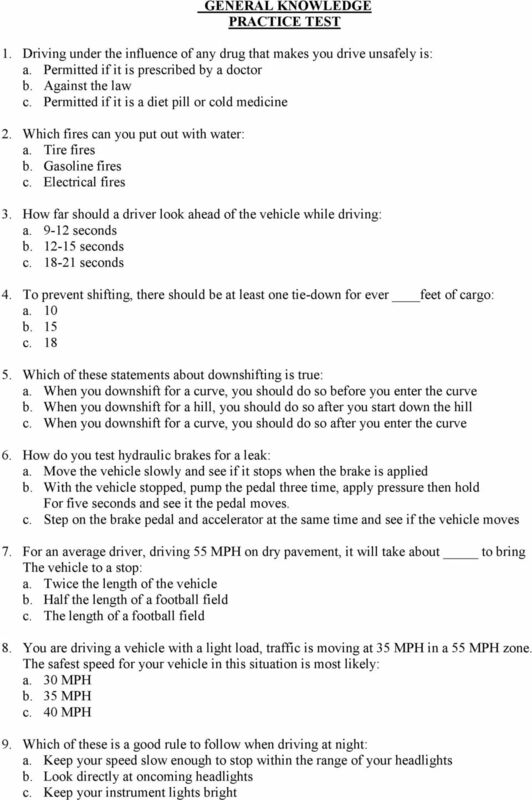 DRIVER EDUCATION NJ EXAM REVIEW ANSWER KEY 1. If a student driver commits a traffic offense while taking the 6 hours behind the wheel requirement, responsibility will lie with both the DRIVER and the INSTRUCTOR. 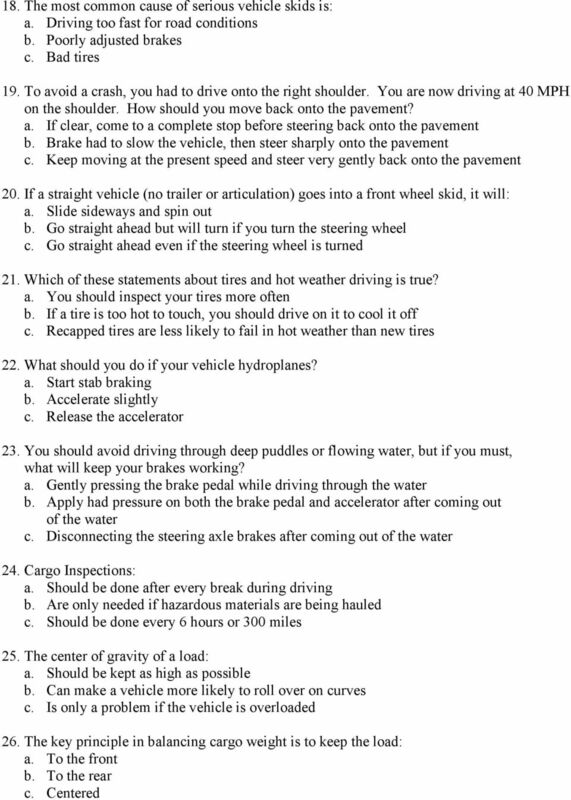 Module 2 Topic 3 Operating Vehicle Control Devices 1. Identify the vehicle controls in the pictures below: 1. 2. 3. 4. 7. 7. 5. 6. 1. accelerator 2. parking brake 3. foot brake 4. gear shift lever_ 5. ERI Safety Videos Preventing Injuries Through Employee Training DRIVING SAFELY. Leader s Guide. Marcom Group Ltd.
2005 Commercial Driver s License Manual Section 5 AIR BRAKES This Section Covers Air Brake System Parts Dual Air Brake Systems Inspecting Air Brakes Using Air Brakes This section tells you about air brakes. AMBULANCE TYPES Emergency Medical Training Services Emergency Medical Technician Basic Program Outlines Outline Topic: Ambulance Operations Revised: 11/2013 Type 1 pick up truck with a box on the back. Be prepared: Learn what to do in any situation when you have to act fast, and always expect the unexpected. Serious accidents causing death, injury or $200 damage must be reported within 5 days to? When will you be given a proposed License Suspension Notice? WINTER DRIVING. This information supplied by the Federal Emergency Management Agency and the NJ Office of Emergency Management. Preparing your teen for the road ahead. When Your Teen. Driver s Seat. A Guide for Parents. What else should you know? Safety First Motor vehicle crashes are the number one cause of death of children and young adults in America. About one in three Americans will be injured or killed in a motor vehicle crash. One in three. 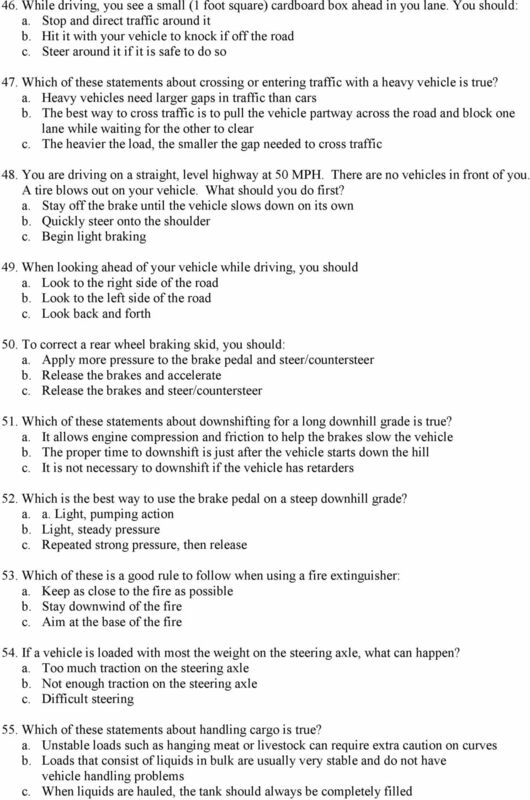 DRIVING TEST POSSIBLE QUESTIONS & ANSWERS.